This month's challenge was a delicious one risotto - creamy and luscious and oh so hearty. Thank you Eleanor and Jess for a wonderful challenge. For my 1st batch I just wanted to try out my new imported risotto rice and use a simple chicken wing stock just to see what results I could get. 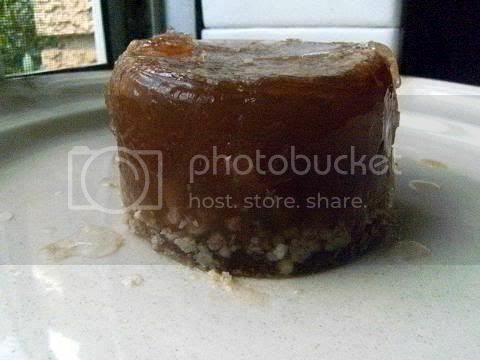 Home made chicken wing stock – heavy with gelatinous goodness. Roast 1 kg of chicken wings and then simmer in 2 litres of water for 1 hour (with veggies and herbs/spices) and refrigerate overnight. Remember the golden rule The better the stock the better the risotto. 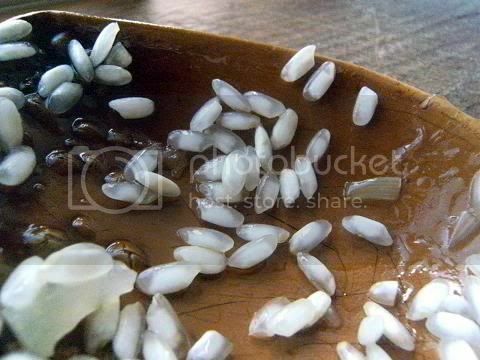 Initial coating the grains of rice with oil – notice the transparent coating on the rice and the interior white capsule of rice. 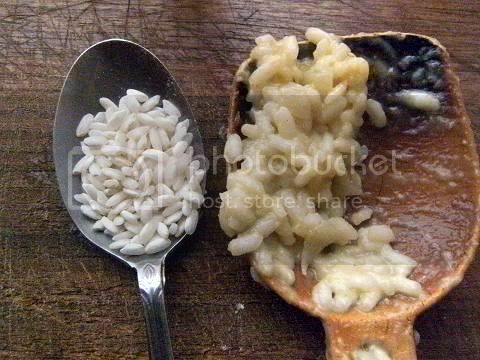 Risotto rice has a outside coating of starch that forms the creamy texture of the finished risotto, and an inside nodule of firmer rice that stays 'firm' even when fully cooked. Process of cooking the rice photos taken every 6 minutes. Final risotto rice – nice and creamy and I didn't have to add cheese or cream, since the stock and rice were the of the highest quality. Comparison of the uncooked and cooked grains of rice. I wanted to make a vegan umami risotto – I used powered shiitake mushrooms, powered seaweed, sesame seeds with sweet corn. My stock was seaweed with garden veggies. 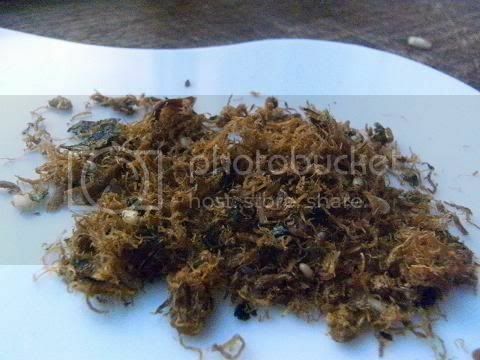 Powdered shiitake mushrooms and seaweed. 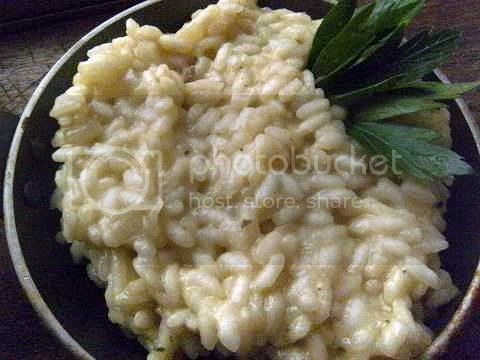 This risotto was extremely tasty in fact it had such a 'meaty' taste I thought that I had used beef stock instead of the seaweed veggie stock I had prepared but I checked and I had used the correct stock. This was so colourful and superb as a lunch snack. What to with left over risotto? I had some left-over risotto so I made arancini di riso – add an egg yolk and some grated hard cheese (Parmigiano-Reggiano is best) to the cold risotto mixture form into balls (use about 1 ½ tablespoon of mixture), you can place a small cube of soft cheese in the centre if you wish, then coat the rice ball in fresh sour dough breadcrumbs then deep-fry until golden if your arancini are very large you can place the freshly deep-fried croquettes into a 180C (350F) oven for ten mins. The name Arancini derives from the food's shape and color, which is reminiscent of an orange (the Italian word for orange is arancia, and in Sicilian, arancici means "little oranges"). Arancini is masculine plural, the singular is arancino (or in Sicilian arancinu). In some parts of Sicily, the feminine plural, arancine, is common. Arancini are usually filled with ragù (meat sauce), tomato sauce, mozzarella, and/or peas. Though I really like roasted eggplant a lot and mushrooms are wonderful. 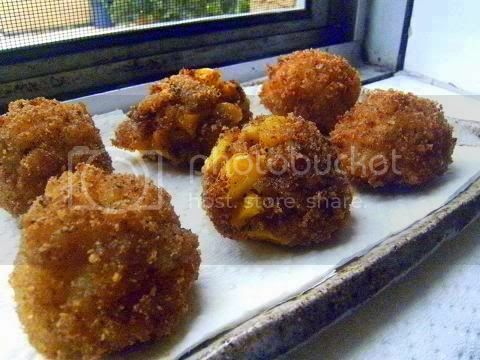 Here is a link to a video showing you how to make them it is best to form the balls and place them in the fridge for an hour before deep-frying them. Here is link to a great classic recipe for arancini (the recipe is on the second page you have to click on the continue button on the bottom of the page. Risotto pancakes (risotto al salto) are best made with classic risotto Milanese, flavoured only with onions, butter, cheese and saffron. Simply mix leftover risotto with egg as a binder (about one beaten egg per cup of cold risotto), form thin patties and sauté over relatively high heat until crusty on each side. 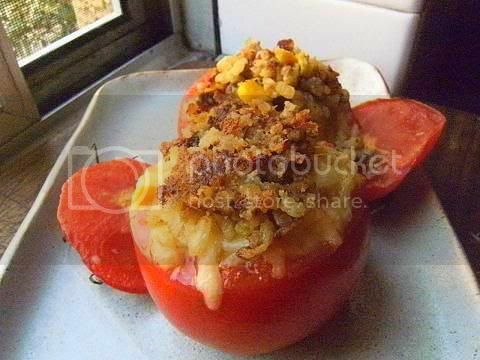 It’s a great luncheon dish with salad or vegetable. Plain, mushroom or other risotto makes a great stuffing for poultry and many vegetables. Simply stuff the bird and bake. For peppers, artichokes, zucchini and eggplant, steam or boil until they’re barely tender, then scoop out the centers, stuff and bake until soft and the rice is crusty. Cabbage and green leaves are other possibilities, needing only brief blanching before stuffing. 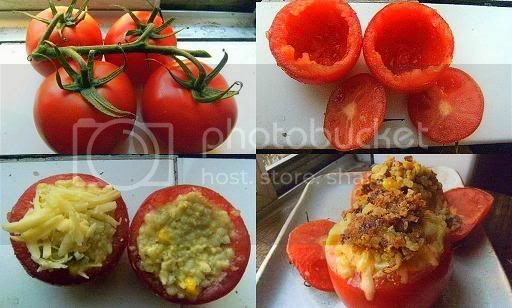 Tomatoes don’t need to be pre-cooked, just emptied of seeds and juice. You can make bread with left over risotto - use your favourite focaccia recipe but replace 1/2 of the flour with pureed risotto rice, and follow your recipe. Stock: 20 minutes prep time, 3 hours cooking. Lemon Risotto: 10 minutes prep time, 20-30 minutes cooking. 7. Carefully ladle the liquid into a fine sieve, the less the bones and vegetables are disturbed in this process the clearer the stock will be. The stock is now ready for use. Freeze what you don't need for later use. 4. 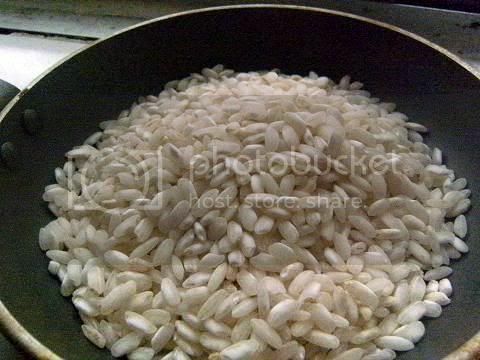 Add enough stock to cover the rice by a finger’s width (about an inch or two). Don't actually stick your finger in, it will be hot. Just eye it off. It all looks so delicious. I've always wanted to make arancini, but I never have any risotto left over. I like your idea of making arancini with the risotto left over. Audax, once again you bowl us over with you creativity!! Love the umami creation.. I so look forward to all of your creations! Your creamy risotto looks lovely but I am especially enamored with the arancini and risotto al salto. You are amazing, and you know it! I love Hell's Kitchen and I've always wanted to make risotto. I'm not a Daring Cook (just Baker), but I must make this per your instructions! Looks awesome! I def. need to try some arancini sometime! All of your risotto variations are making me very hungry! It all looks so delicious!!! Pretty incredible. I love all the creative uses of the leftovers! My next risotto will definitely be a umami version. I'm feeling quite inspired! Yours is always the first post I see on the completed challenge and the first one in my Google Reader! Amazing job as always! A made a sweet version tonight and still have to write my post. How many kinds of risotto!!!! You make a great job. Thanks for your kind words on our blog! I love the sound of your vegan umami risotto - I think I might give that a go some time. (We are also in Sydney). Very interesting as always. The use of leftovers in a focaccia or to make a pancake is quite novel to me, so will have to give it a go - I always have leftovers as I make huge quantities of risotto. It's never particularly good the next day, so I might give these ideas a try. I do love arancini - and absolutely recommend a square of soft cheese in the centre. Yum! wow this is amazing. 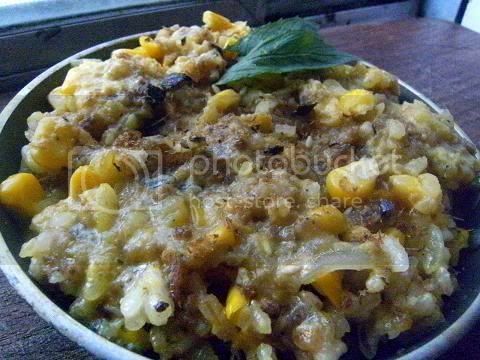 it all looks delicious and it`s so clever to use the risotto as a base for a focaccia. OMG everything looks amazing! 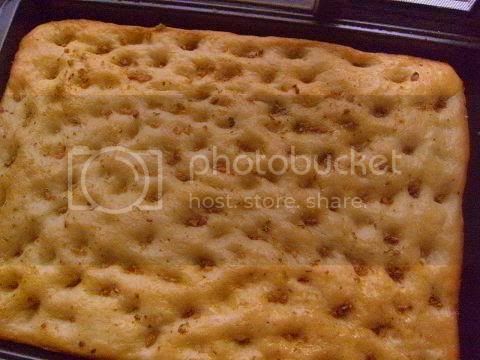 The Risotto Focaccia is really interesting, I've never heard of that before. Very creative! Audax - You sure found some incredible ways to use that bag of risotto! You're definitely The Man! 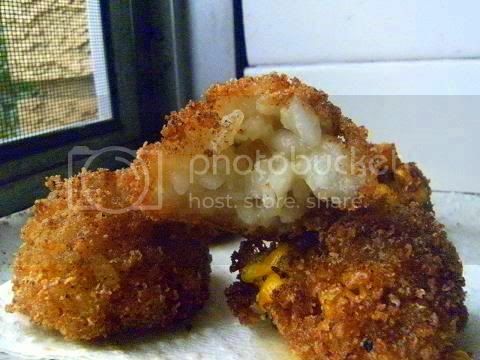 I want to make more risotto so I can make some of those croquettes! Love that you always make so many different things for each challenge! Your arancini look incredible! And I definitely will make the risotto al salto because that sounds very yummy! Gorgeous job Audax! I really love the risotto focaccia. Very cool! I love what you did with the leftovers! And those pictures of the before and after rice are fabulous! Really beautiful and very inspiring! I learned so much from you on this challenge. Amazing. It looks delicious! You have a really wonderful blog! Of course, you never cease to amaze me. Your pictures and recipes look phenomenal! Especially the arancini. Yummy variations of risotto! 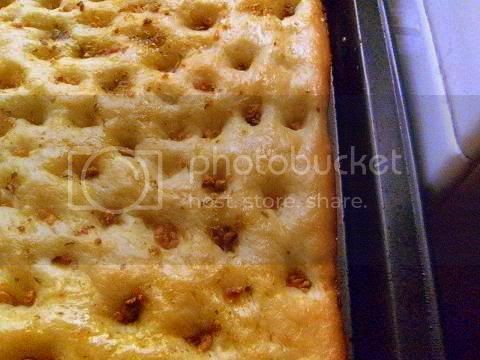 The risotto focaccia sounds very interesting! Beautiful risottos - especially the vegan variation! And thank you so much for posting the arancini recipe, and for all of the other creative ways to use the leftover risotto. This is only my second challenge, but it didn't take long to learn to look for your posts for great ideas and information! Wow. What a great post. I especially like the last one - the risotto cakes. And the focaccia is a great idea, too. Well done, as usual! You are just off the hook... seriously. What a wonderful, titanic effort! I love the way you explain the background of certain words, e.g. arancino, arancini. Knowing the background of your food definitely enhances the flavour. I also love your idea of turning leftover risotto into bread ... bravissimo, Audax! So glad to get some good ideas from you. I need to make chicken stock again and roast the chicken first. And I need to have left overs to try the arancini, they look amazing!!! I think I'm going to whip up another batch of risotto just so I can make those arancini. Those look amazing! Looks delicious! The shiitakes and seaweed really lend an interesting texture to the rice. Awesome ideas. Amazing! I love how you take the idea and run with it! It is so great to see all of the things you have done with your risotto. 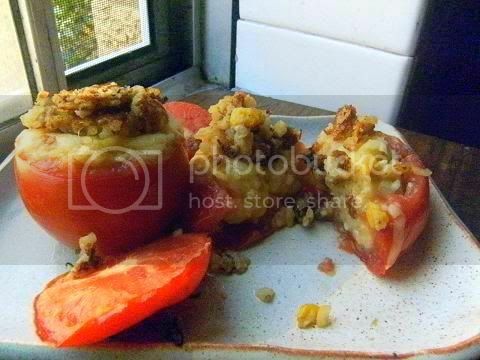 Those stuffed tomatoes look SO good! Audax, everything looks so delicious as always. I simply love your creativity in each and every challenge. Bravo! Everything looks so delicious, especially the Arancini di Riso! You have such great ideas, can't wait to see what you come up with next challenge. Hello Audax, thanks for stopping by giving me a nice welcome. Look at all the varations you've made! I'm very impressed. They all look delish! Aud..as ss usual you rocked a challenge, creatively, photgraphically, and drool factor wise. However..I'm in awe and wonderment of that risotto focaccia. OMG, not only does it look amazing, but if there's a stone left unturned, you find it! I think you should win the award for one of the most dedicated and creative Daring Baker/Cooks ever. Must try that focaccia! Audax.. you've outdone yourself again! That all looks gorgeous but I especially like the idea of those little risotto croquettes! Brilliant! Wonderful array of risotto dishes! 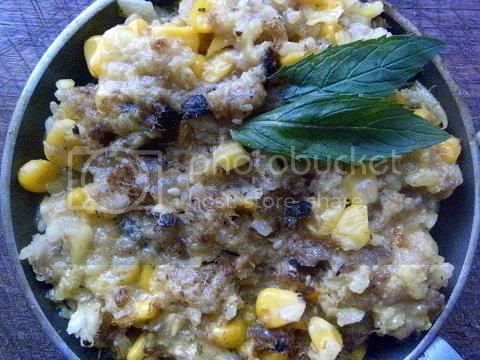 The Vegan Umami with corn looks delicious, a must try. I am so intrigued by the foccacia. I made some last week for a post for St. Patrick's Day but I am going to be making another batch now. Thanks for the great idea. Thank you thank you for ways to use up leftover risotto! i am not a fan of wasting food so i truly appreciate these ideas! also, thanks for checking out my blog. OMG - your dishes look amazing. Well done! The foccacia looks tasty - nice and crispy outside and I'm sure fluffy inside. 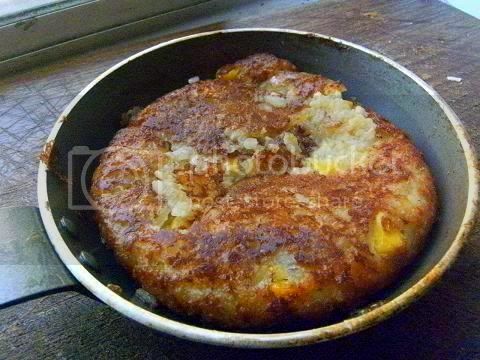 I'm going to try those risotto pancakes for lunch today. Great suggestions for using leftover risotto! I love the idea of your vegan umami risotto... inspires me to try a seafood risotto made with dashi. As always, you've gone above and beyond with this challenge! I love it. Risotto balls are one of my favorite things to do with leftover risotto... the tragedy is, that doesn't happen nearly often enough! Ciao Audax, How great that you are so ingenious with the give recipes and now with the leftovers too ! 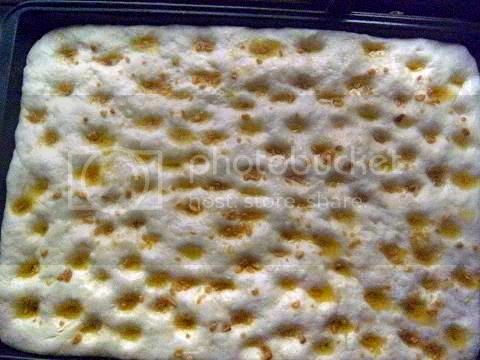 The focaccia is wonderful I would knock on your door now !!! I will take one of everything please. All the different recipes looks so good. I am in love with the risotto balls. Those would be dangerous to have around my house. I don't often comment, but I stop by often. You really did a spectacular job with this challenge. All your iterations looks fantastic. Kudos, yet again. You are very creative. Woman, you are amazing!! ;) I am always so inspired to read your blog. You are such a creative person, and I love your take on this month's challenge. Keep up the good work and keep inspiring us all! Ps! Thank you for your sweet comment! wonderful as always and I love the little balls and the pancakes, my problem was getting my lot to leave me some to try it with!! Hi! Thanks a lot for your comments!! What you cooked looks wonderful and so delicious!! The very first picture of the transculent rice is a WINNER! And how'd u get the idea of risotto foccacia? that is absolutely genius! Thanks Audex. It was pretty yummy. I've never really worked with beets until this month, I'm surprised at how good they are. 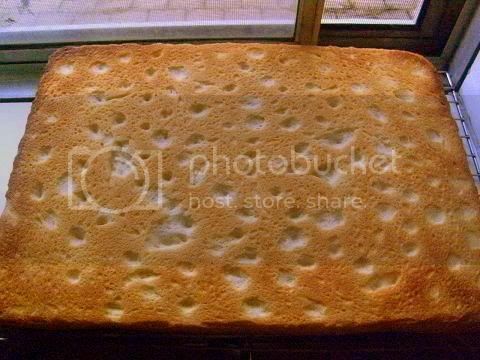 I would love to see a cross section photo of the focaccia. That really sounds delicious and I am curious of the crumb on a risotto based bread. Excellent work on everything. Your corn dish makes me long for summer. I want to try the umami risotto! Great ideas to use up leftover risotto only with me there is never any left...I just don't tire of it. ;) Thank you for the comment! So what did you like the best? That risotto al salta sounds wonderful. And I totally love arancini. As usual you have done and amazing job. I like how you thoroughly investigate each new challenge looking at it from various angles. The risotto pancakes are a great idea -- I love to see how one meal can have so many re-purposes! 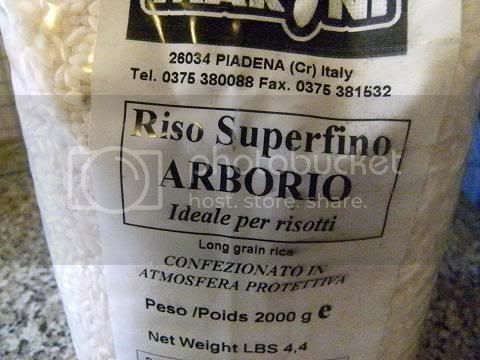 Here's the info on the terra cotta risotto pan. It's made by an Italian company based in Lucca, but is available in the states and on internet. I couldn't find the exact risotto pan I have, which is not surprising because I've had it since 1999 - my trip to Tuscany and cooking school. We visited Lucca, I saw the dish but didn't want to buy it because it was breakable and I had so much other stuff to haul with me to Venice before going home and what if I found glass in Venice I needed? But, when I returned to Tacoma, I found the very same risotto pan in a kitchen shop which is now out of business (of course). I googled Mamma Ro terra cotta risotto pan and found lots of hits - but none for the exact pan I have with the handle on it. They do still make a terra cotta casserole in a couple sizes which looks identical other than the handle. I love this piece! I always make my risotto in it because it makes me feel authentic even though I have not a drop of Italian blood and never even heard of risotto until well into my adulthood. Thanks for the nice comments. You both did risottos which intrigue me, so I may have to get my pan out very soon! Hi Audax. I tried anacini for the first time at a restaurant recently--thanks for showing me how to make them. All my risotto was eaten up, though. :) Next time I will have to make more. Also, I didn't know that you can make focaccia with risotto. That's neat! You are so creative! I love your Arancini but also the rest. Great work on the post... so full of information and easy to follow... would that all recipes were done do well!! Wow, I love your daring posts. You always have such a variety of interpretations of the challenge. Wonderful job! The arancini make such gorgeous golden puffs of flavour, and I love the idea of the foccacia. Fabulous job! Awesome! You sure covered a lot here with everything you made with Risotto! Everything looks absolutely delicious! Thanks for stopping by blog and leaving a comment the other day, It sure was nice to see you on there. As always, this looks fantastic! 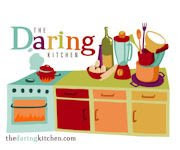 Happy to see you are taking charge of the Daring Kitchen as always :D I've been skipping around playing with my own challenges, but am pleased as usual to see your creativity shining! I've never made arancini, but those looks wonderful :D Cheers to you!!! All your risottos look awesome! I like the deep fried croquettes. They look very delicious. Marvelous job! Thanks for the advice on the wording of the challenge, I didn't realize we had to word them a certain way. Your risotto are wonderful and I particularly love Arancini! Well done pictures and tutorial! Audax, thanks for visiting my blog. Your blog is amazing! What fabulously drool worthy pictures you have! Looking forward to seeing what you do with the next challenge. Hey Audax, I want to thank you sincerely for letting me know about that blog thief. I have filed a notice of copyright violation with Blogger. 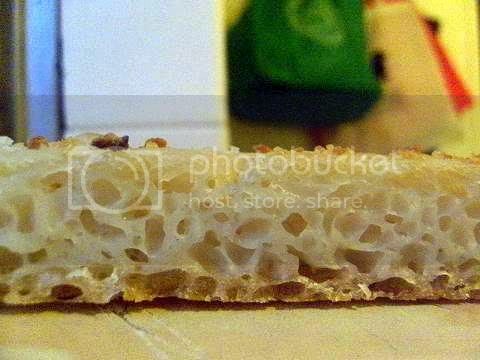 Thanks for posting the cross-section photo of the bread. I was expecting it to be more dense. Looks very light and delicious. Hey Audax thanks for visiting my blog! I'm in awe of your skills and appreciate that you read my little bloggy blog. And thanks for the tip - I had no idea what "blog checking lines" were. As you can see I am still brand-new-baby-new to this. Will include them from now on! Audax, where do you get the time for all this! I love the umami one! And the croquettes! They are so cool, I saw them on your post the Daring Kitchen forum, great ideas for party bites! Awesome post, I really loved this challenge! That risotto looks great and I love the arancini di riso...everythings looks great, when I come here I know that i'll only see great taste in your dishes. I love these Italian dishes. Your risotto looked amazing. I love what you did with the leftovers. I would of never thought of using it in focaccia, thank you for sharing that we us. And also love the pancake and the foccacia! Audax but you are a daring cook, too? 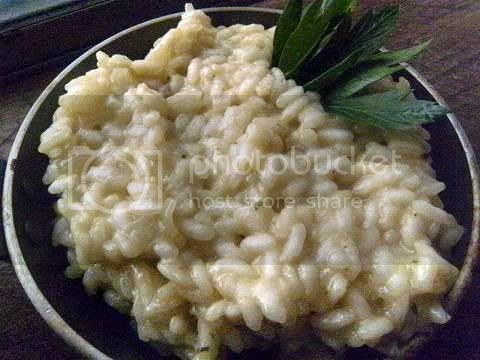 Beautiful risotto, but I think that the focaccia is so delicious...and arancini...the best in the world! I am not worthy! You are so creative. I never thought of doing all those things with risotto! The croquettes look delicious! You are the master of many risotto(s). 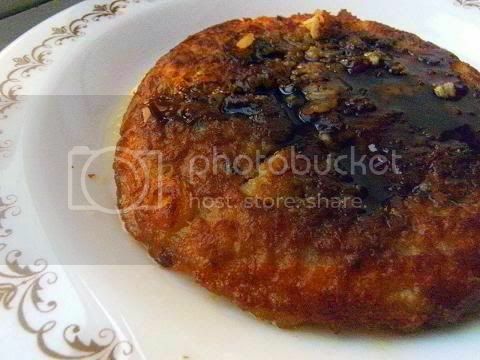 Love the croquettes, pancakes, and the "beefy" umami! 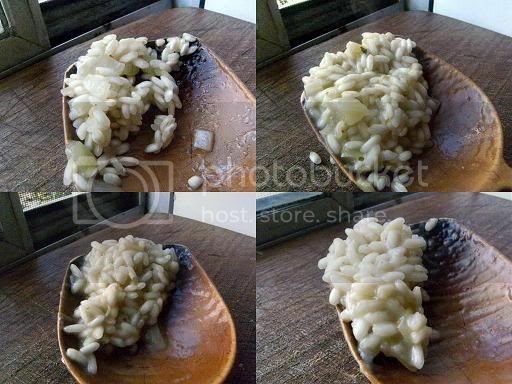 Thanks for commenting on my post.. and I have to say, you put us all to shame with your risotto creativity... I only did one dish. Wanted to do the arancini's (they remind me so much of living in italy).. but I guess the risotto was a huge hit with my family.. there was no leftover to be had.